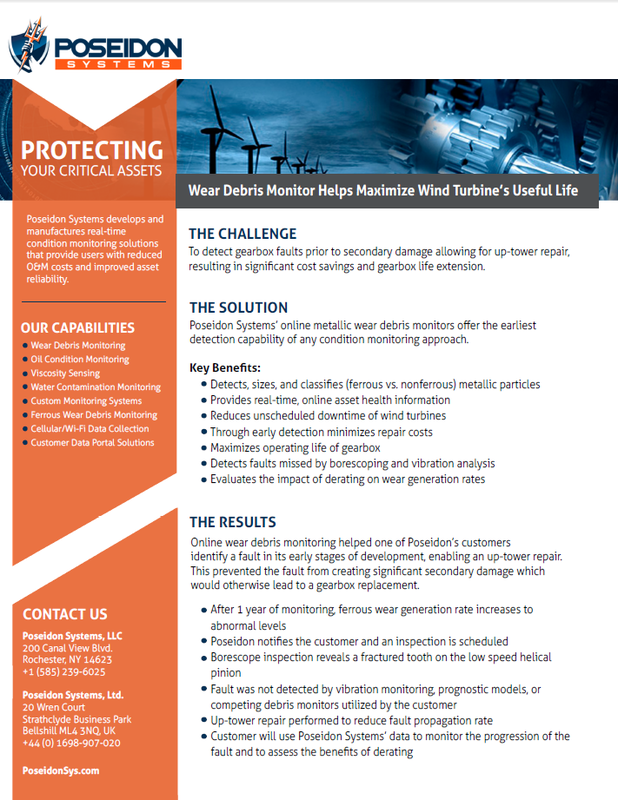 Online wear debris monitoring helped one of Poseidon’s customers identify and manage a fault that could not be detected through borescope inspections or offline oil analysis. 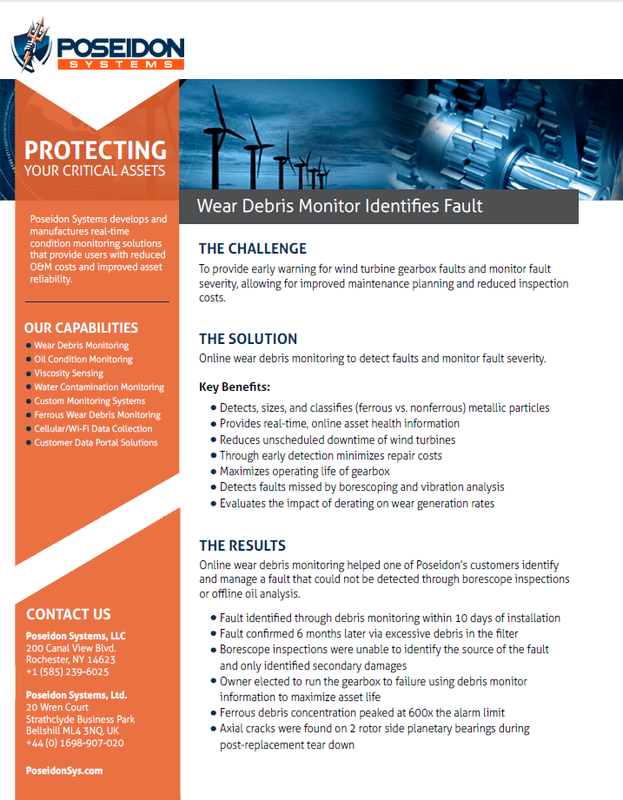 Online wear debris monitoring helped one of Poseidon’s customers identify a fault in its early stages of development, enabling an up-tower repair. This prevented the fault from creating significant secondary damage which would otherwise lead to a gearbox replacement.